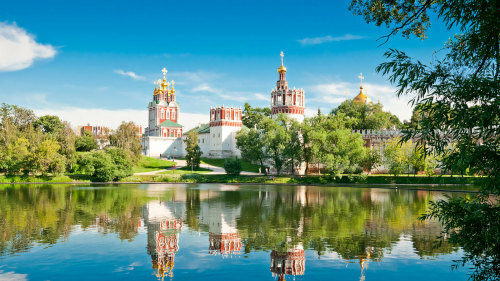 Founded in 1524 by Grand Prince Vasili III, the Novodevichy Convent has served numerous purposes, including a fortress and military hospital, and is one of Moscow's finest buildings. 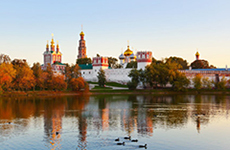 Discover its history, including an appearance in Tolstoy's "War and Peace," on this guided tour. 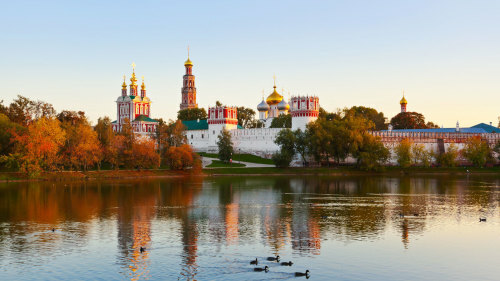 You're taken to the southwest corner of Moscow to one of the city's grandest buildings. Known as New Maiden Convent, it's an amalgamation of several buildings that have been built over the years during the convent's fascinating history. 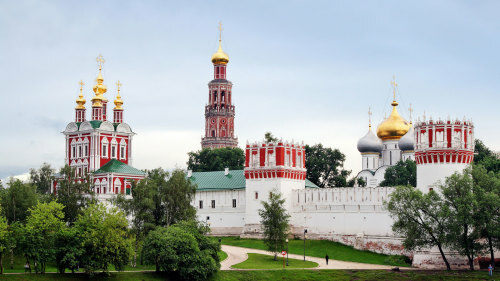 The largest and most important is the 5-domed cathedral of the Virgin of Smolensk. It is home to extraordinary Italian frescoes dating back to the 16th century. 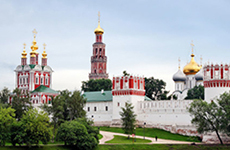 You also get the opportunity to see and learn about the adjoining cemetery, which is home to many Russian icons from the worlds of art, science, and politics; these include Boris Yeltsin, Khrushchev, Molotov, Stanislavski, and Chekhov. The cemetery is beautifully situated next to a lake which is said to have been the inspiration behind Tchaikovsky's Swan Lake ballet.